In each season of the year, lawns will require different methods and techniques to maintain its good condition. Indeed, when the season changes, the weather conditions change too. Therefore, this can affect the growth of the grass, as well as its health. To ensure that during and after the winter time your garden is still healthy, please follow these tips below to maintain your lawn conditions in winter! How is Lawn Condition during Winter Time? Normally, grass grows fast in spring or summer time, as it is full of sunlight and moderate temperature. Meanwhile, during winter time, the weather will get cold and even snow at some regions. The temperature goes down to an inappropriate level. On the other hand, there is less sunlight in winter than the other seasons. As the result, the low daylight hours and low temperature will slow down the growth of lawns, and for most situations, reduce the health of grass and make it become weaker. Besides that, some gardeners plant cold season grasses, meanwhile the others choose warm season grasses. 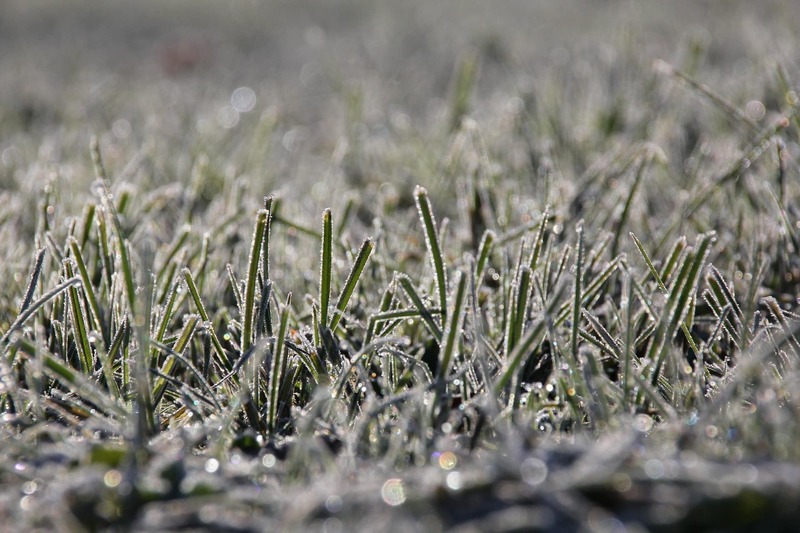 Therefore, when it gets cold, the warm season grasses may not completely adapt to the cold temperature, low daylight hours and low moisture in winter. In this situation, we need to use different methods to take care of our lawn. 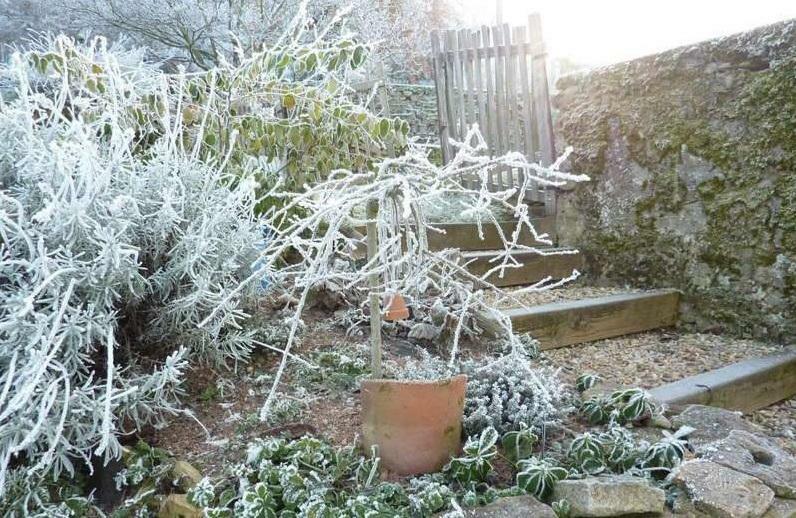 Fortunately, caring for lawns in winter may not be so hard, and it will not take too much time as in the other seasons. Since grasses will turn to rest mode in winter, we just need to follow these simple tips below to ensure that you still have a healthy and beautiful lawn during winter time. If you are intending to seed your new lawn, then seed it in autumn, right before the winter time. That is one of the secrets to maintain your lawn in winter. Because when they start growing in autumn, they are still in a good condition without being damaged by lawn diseases or pests. Therefore, you can put less effort into taking care of them in the winter. If you have already had a beautiful lawn, then follow these steps below to enhance its health. We should have a good preparation for the upcoming winter. Fertilizing is the step that I would like to mention first. We all know that one of the nutrient-rich sources for the lawn is soil. When other sources such as sunlight, wind, moisture and temperature are not suitable for grasses in winter, soil may be the only one that grass can count on. Therefore, please make sure that you will follow the proper fertilizing schedule which is recommended by manufacturers or experienced local farmers. After the summertime, many nutrients from the soil are used due to the fast growth of grasses. As the result, fertilizing before winter is necessary. Essential nutrients in soil are a keystone to keep your lawn in good condition. The fertilizer will remain in the soil and feed the grass roots during the whole cold season. In the normal conditions, the proper height of the grass should not be lower than 5 centimeters and higher than 9 centimeters. However, this statement cannot be applied to the lawn during winter time. As the growth of grass will slow down in winter, you should not mow it frequently. We should use a push mower, self propelled lawn mower or manual lawn mower to mow the grass before the winter arrives, so that when it is cold, the grass will reach its ideal height. The green leaves will get more food supply from the roots. This will help it stay strong during the winter time. In the winter, the grasses will not need as much water as in other seasons. During this cold weather, it is a good idea to cut down watering because the temperature will decrease and the water cannot evaporate easily. So, the water left on your lawn could damage its health and lead to pests or fungus problems. Moreover, as I mentioned above, the grasses are in dormant status during winter time. Therefore, they do not require as much water to remain in a good state of health. In winter, the grass growth will slow down, but it does not mean the same thing will happen to weeds. Actually, weeds still grow well in winter. In addition, when the health of our lawn has decreased, it creates a good condition for weeds to take over the place. Therefore, look around your lawn and pull off any weeds including their roots, so they cannot take control of the nutrients in the soil. Please make sure that you remove the weeds as soon as possible before they spread widely on your lawn. 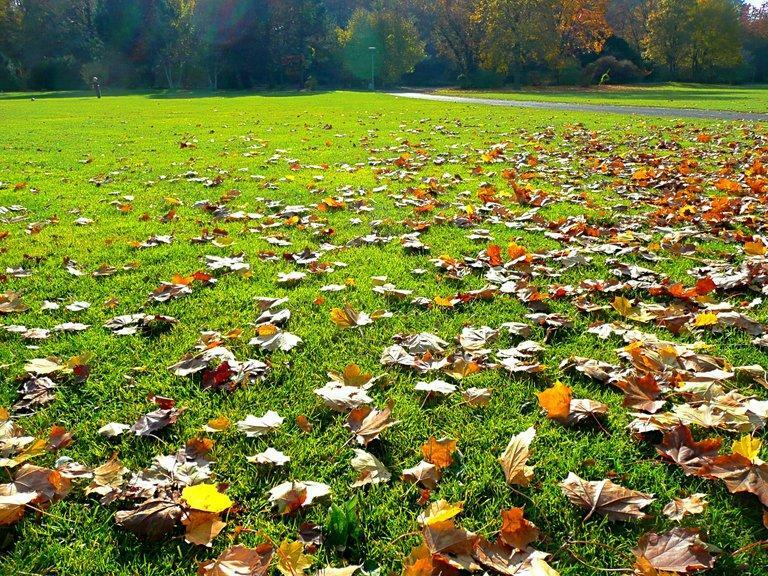 Lawn health will decrease in the winter due to harsh weather conditions. Therefore, please try to avoid any impact on its surface, such as furniture, toys or some heavy things you put on your lawn. These items could create dead spots, which can affect to the beauty of your lawn. In addition, please do not step on your lawn too often. Instead, create a clear sidewalk with rocks or bricks. Using a thin layer of mulch is a simple way to protect your lawn. Although thatch can damage lawns, a thin layer of mulch in winter is just like a blanket, which will help to cover your lawn from snow, frost, and even inclement weather. In fact, taking care of your lawn in the winter is not too difficult. 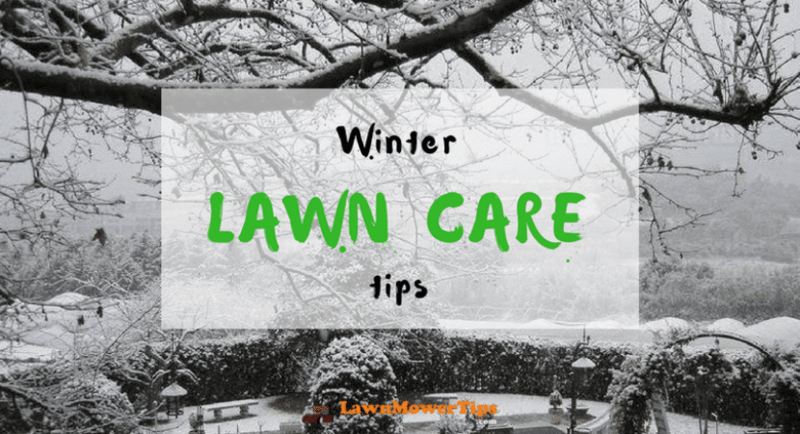 Basically, you just need to do the same practices as in other seasons, and then apply the tips which were mentioned in this article to keep your lawn in a good condition during the winter time. So, do not worry too much about the upcoming winter. Once you understand your grass clearly, you will know how to help it. Thanks for the tip on not watering the lawn as much! I didn’t think about how the cold weather would cause the water to not evaporate as easily. It’s much better to cut back and avoid drowning the grass while the weather’s cold.